You have all of the qualities of a good leader: You are sincere, honest, accountable, and have a respectable attitude. However, there is one key difference between leaders who are truly successful in their business and those that are just mediocre. The most effective leadership requires skilled listening. As a leader who listens to and understand their employees, you will foster a relationship that encourages employees to achieve their own personal goals, and in turn, be more willing to give their best to you and your company. What are the consequences of not being a good listener in a leadership role? When you fail to listen to what your employees need to say, a communication gap grows that can hinder business relationships and be a stumbling block in business growth. Employees have a need to be heard by their employer, whether it is when they have personal issues that compromise their performance or want to voice a concern about their position. A disconnect between you and the people you are trying to lead means a break in transparency, which will inhibit loyalty from developing for the long term. How do you effectively evolve into a leader with good listening skills? 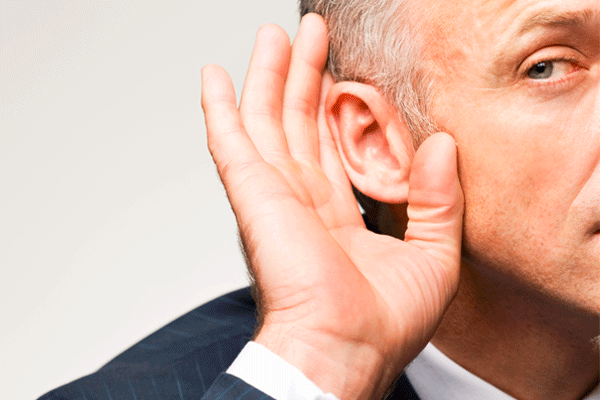 There are many benefits to reap as a leader who effectively listens to your employees. However, listening is about far more than just being quiet while an employee talks. There are a handful of ways you can show that you are growing as a leader who is a good listener. Be engaging in employee conversation. The best listeners don’t just sit silently taking in a conversation, they stay actively engaged by asking questions and showing interest. If an employee comes to you with an issue, stay open to listening, but let them know you are engaged by inquiring about further information or suggesting solutions. Listen without judgment. Being judgmental when you are listening will only further the gap between you and your employees. Stay neutral and be conscious about what you say in responses to make sure that you do not come off sounding like you are making assumptions about a situation. Listen on an expansive level. Being an effective listener means you are not just hearing, but seeing the conversation and the non-verbal communication signals. You pay attention to a person’s demeanor, body language, and eye contact. Embrace two-way communication without interrupting. Being a leader often means that you hold an executive presence, sometimes with an all-knowing personality. In business, confident communication is important, but don’t let your confidence get in the way of effective leadership. Encourage open communication by staying tuned in and asking questions, but do not interrupt or intercede your opinions without being asked. Believe it or not, only about two percent of professionals have formal education and training to help them improve their skills with listening in communication. Therefore, becoming a good listener on your own is always an admirable trait and is often viewed as compassion by your employees. Become a more compassionate leader and your employees will trust you and your business.